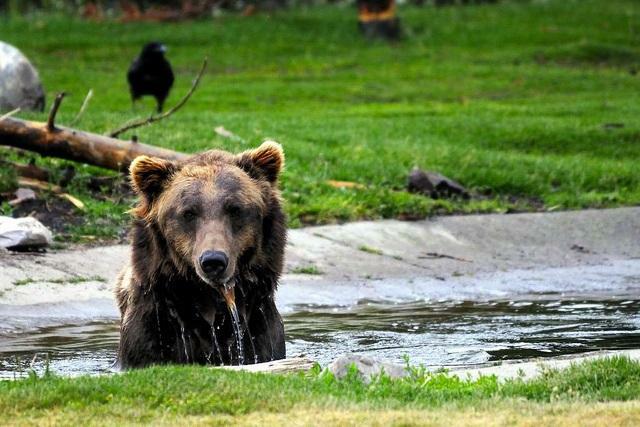 After Yellowstone grizzlies were removed from the threatened species list in 2017, the states of Idaho and Wyoming decided to allow hunting the species. In 2017 the federal government removed Endangered Species Act protections for Yellowstone-area grizzlies. Soon after, Idaho and Wyoming decided to allow people to hunt them. But environmental groups and tribes sued over the delisting. A federal judge is taking his time making a decision and just extended the hunting ban for another two weeks. Matthew Bishop is an attorney for the plaintiffs. He says this is a good sign. "The more time the court spends looking at the legal issues and the best available science I think the better chances my clients have to prevail in the case," Bishop says. Wyoming wildlife official Rebekah Fitzgerald hopes the species is not re-listed. She says her state has a strong grizzly conservation plan, "... for not only the bear populations as a whole, but that also allows for a conservative hunting season." Before the hunting ban took effect, Wyoming and Idaho approved around two dozen bears to be killed outside Yellowstone’s boundaries.